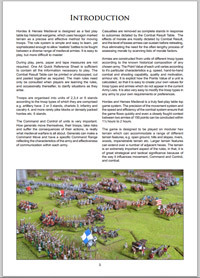 A selection of Dice and Counters suitable for use with Hordes and Heroes Medieval and other wargames rules! 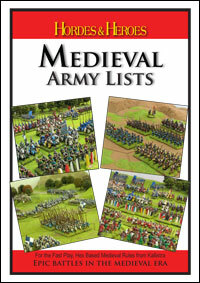 The HHM Army lists are also available FREE to download. are 12mm scale. 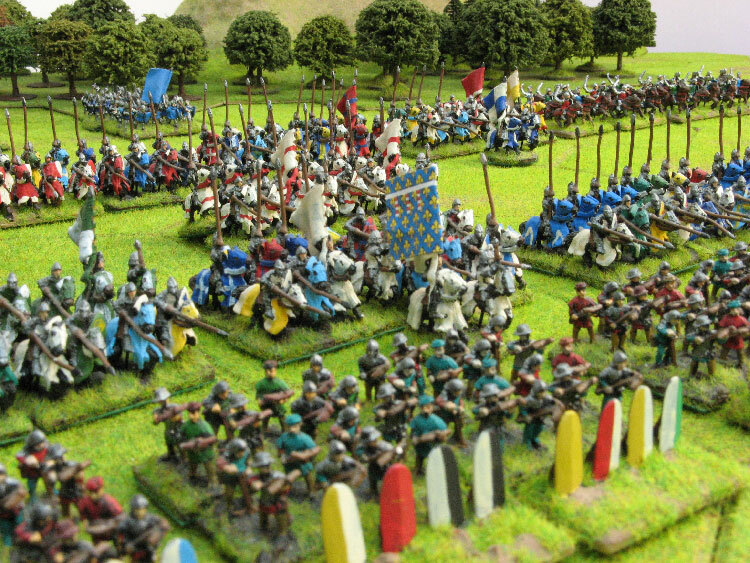 The H&H Historical Miniatures are designed and manufactured in the UK. Cast in lead free pewter to the highest standards. Figures are mostly strip mounted to facilitate ease of painting and mounting onto the precision moulded brown plastic supplied bases* Figures are supplied unpainted and some models may require assembly. (*with the exception of Command and a few accessory packs). 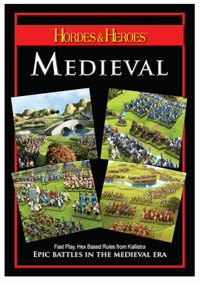 Each blister makes up one unit for use with Hordes & Heroes Medieval. 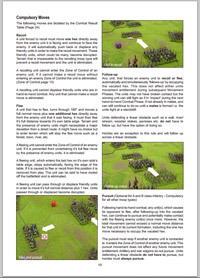 You can download a H&H Catalogue in pdf. format just click here to go to the downloads page. Every 6 packs you buy - you only pay for 5. That's 6 packs for £30 plus postage and packaging.